Kitchens Are Monkey Business: Giada Wants To Be A Star. 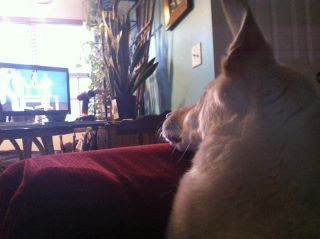 Daughter Hawthorne shot this picture of Giada watching the Go video. Dream on, Giada.